Last week our friends at Red Brick Road asked us to come up with something to celebrate the official start of the British cherry season. We sent out some boxes of our famous Cherry Bakewells, packed with plump red cherries from Kent to some of our favourite UK publications. 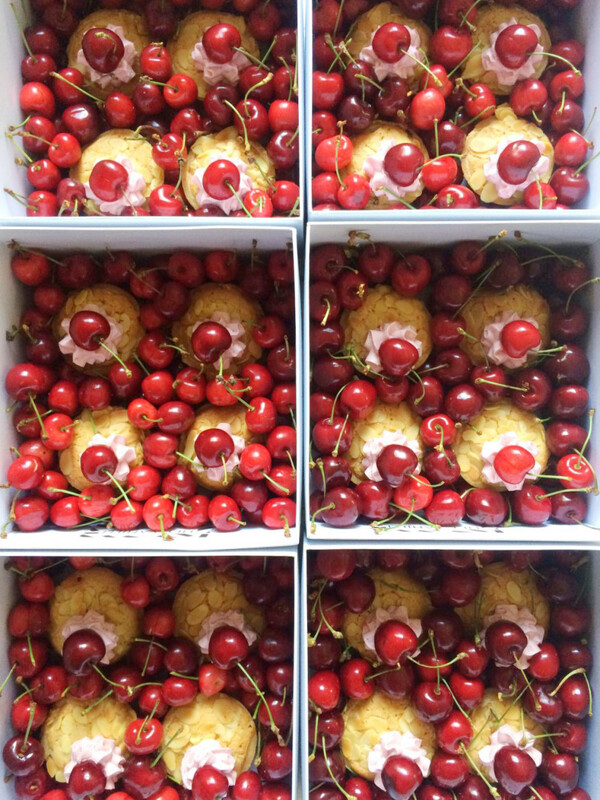 First we filled each box with four of our lovely Bakewells, topped flaked almonds, cherry buttercream and British Cherries. 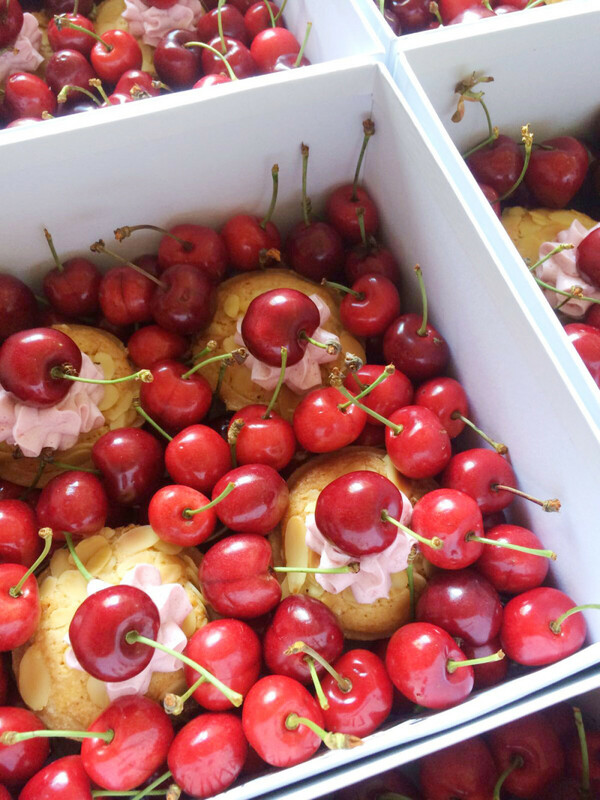 Then we buried them among lots of ripe British cherries, and tied it all up with cherry coloured ribbon. 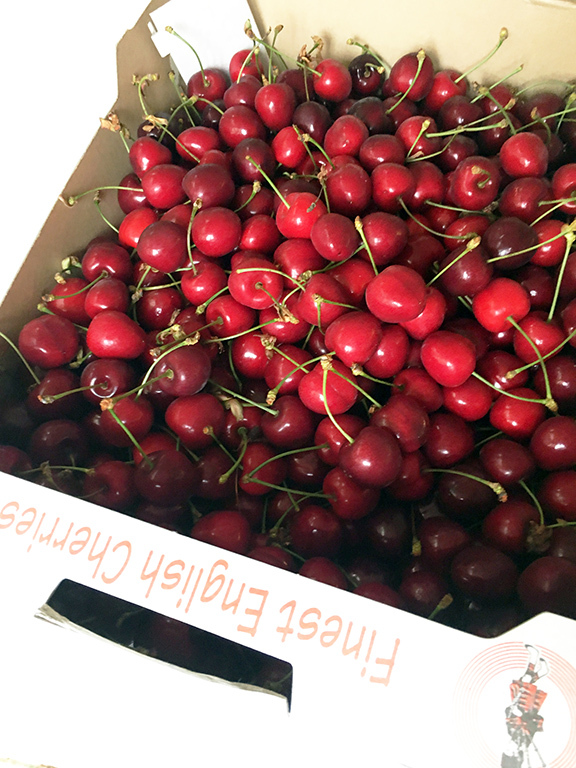 Take a look at the British Summer Fruits website to read all about seasonal fruit and why you should buy cherries this summer. 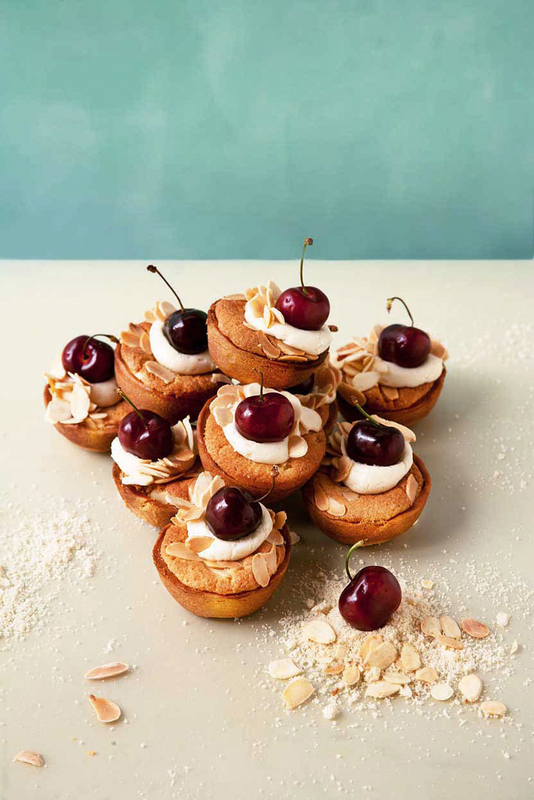 See our Cherry Bakewell recipe here and make your own to celebrate the British cherry season!